Founded in 2009, Stratman Sports has grown into one of the Greater St. Louis area's largest and best adult & junior sports organizers! We organize and operate sport events and social events with an emphasis on volleyball leagues, tournaments, camps & private lessons. Our goal is to provide the Greater St. Louis area with organized, fun, developmental & competitive sports programs/events. Regardless of your ability, experience, level of play, or age, Stratman Sports will have a program/event for you! Since 2012, Stratman Sports averages a yearly 20% growth which we credit to running exceptional programs at some of the best facilities in the area. We are DEDICATED to teaching young players the rules, skills, and strategies of the game that will last a lifetime! We are PROUD to provide the Greater St. Louis adult volleyball community the most organized and FUN volleyball leagues and tournaments in the area! Named in honor of a former USA Volleyball President. 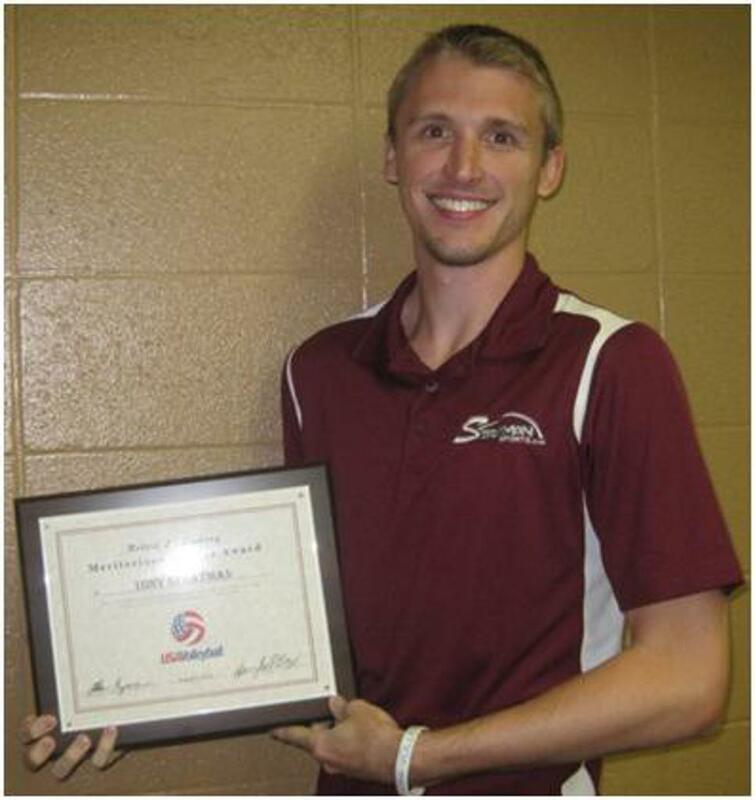 The award recognizes those individuals who have contributed greatly to the sport of volleyball on a regional level.